Sweet Aiden and his family came to visit me at my studio in Guilford. I adored this little guy, and his mommy and daddy love him so much! He is just the sweetest little thing, and his big fur-brother puppy came to visit us as well for a few images of the two of them together. I'm so excited we got to incorporate the family doggie in some images, as he was their first "baby" before Aiden came along. All of these outfits, hats, blankets, and props (and many more!!!) are available in my studio located on Boston Post Road in Guilford, CT. Are you expecting a new little bundle of joy to add such lovely chaos to your family? Contact me! I'd love to capture it! I love love love my twin newborn clients, and Charlee and Ryder were no different. Oh my goodness, they were the cutest things ever! I adored them! The bond between twins is unreal and I am so blessed to be able to watch it unfold during our newborn portrait session. These little babies were the same weight when they were born, can you believe they were both seven pounds?! Sweet Charlee slept like a champ for her session and Ryder wanted to play for a bit at the end, but they completely spoiled me! I am so excited I've been able to work with more multiples this year. I love everything about them. This is why I am offering FREE newborn sessions to any twin, triplet or beyond mama's out there. This means no session fee! Seriously though, here are two of the cutest boy/girl twins I've seen. I tried really hard to narrow down my favorites, but it was nearly impossible! During a twin session we will always focus on the bond of the twins themselves, and making sure to capture the babies together. But we also focus on capturing each individual twin as a separate entity. So every multiples session includes portraits of the twins/triplets... as a set, but also each individual baby. And as with any newborn session booked with Ashley Grace Photography, family and sibling portraits are always included in any full session! There is nothing more beautiful than the bond between a new mama or daddy with their precious babies! So if you are expecting a singleton, twins, triplets or beyond... contact me! I'd love to meet you and capture your first moments as a family! Now booking Fall Mini Sessions! Sessions are for families or children only, a perfect way to update those family portraits! Sessions will be 15-20 minutes each, and a minimum of 8-10 images will be edited for your viewing. You will come into my studio 1-2 weeks after your session date to have a viewing and ordering session... it is at this session that you will choose the images and prints you'd like. These sweet twin baby girls came to visit me at my studio in Guilford. To say they were adorable is a complete understatement! They were the sweetest little things ever. I am so happy I got to meet them, and their awesome parents! Watching twins together is something that I could do all day long. The bond between them is awesome! They soothe each other, snuggle, kiss, eat each other's faces and hold hands. It melts your heart! Mia and Olivia were about a pound apart in weight, and were as different as night and day. Little Miss Mia was a super star sleeper! I barely saw her eyes the whole session, just for a little bit at the end of our session. Little Miss Olivia was a partier. She didn't want to miss anything. She was just the sweetest thing, and had the most soulful eyes! If you are expecting a new little baby (or 2!) contact me! Ashley Grace Photography serves Guilford, CT and the Connecticut Shoreline. I'd love to meet you! I'm so excited to implement something new to the AG website. I am now offering a Baby Registry. Do you have a friend or family member expecting a new little bundle of joy, or perhaps you're just not sure what to give at an upcoming baby shower? Consider giving the gift that will truly last a lifetime. A custom portrait session with Ashley Grace Photography. As part of the AG Baby Registry program, you are able to choose any amount to gift to the expecting parents, and multiple people can purchase small amounts towards the same expecting parents' newborn session. Whatever you give will be applied to the session fee, then to prints and products thereafter. As a mama myself, I would have LOVED this! There truly is not a better gift you could give to expecting parents. This give will truly last a lifetime as these images will be something you and your family will enjoy for years and years to come! Don't forget Mother's Day is coming, and baby showers are a perfect opportunity to take advantage of my AG Baby Registry Program! This would make a perfect gift for any expecting mother out there. 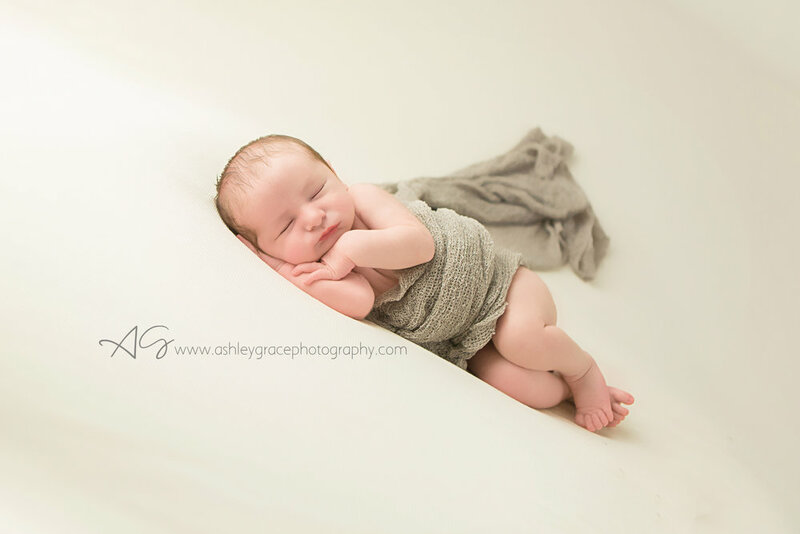 Simply go to this link: http://www.ashleygracephotography.com/ag-baby-registry/ and follow the prompts to fill out the contact information sheet. You will be in contact with in 24 hours after giving me your information and I will send you an invoice and go over how we'd like to present this give to the expecting parents. Gift certificates with custom boxes that look like gift boxes are available! Contact me today if you have any questions, or follow the instructions above to make your AG Baby Registry purchase. I'm so excited to work with you and the family you are giving this gift to. Sweet Sofia and her family came to visit me in my studio in Guilford, and I absolutely adored them all! Such a little sweetie Sofia is! Oh my goodness is she a cutie!! She let us do so much with her, and was so cooperative. There is nothing more fun than watching brand new parents with their new little love. The love these two have for their baby girl is apparent the moment you meet them, and Sofia sure is lucky to have such amazing parents! If you'd like to capture your newborn's 1st moments, and your 1st portraits as a family... contact me! I'd love to meet you! I had the pleasure of meeting this sweet baby boy Ezra, and his gorgeous family on Saturday. He was just the cutest, a tiny little boy at just 5lbs 9ozs. He was so tiny, and so strong! I absolutely enjoyed my session with him and can't wait to see him and his family again. 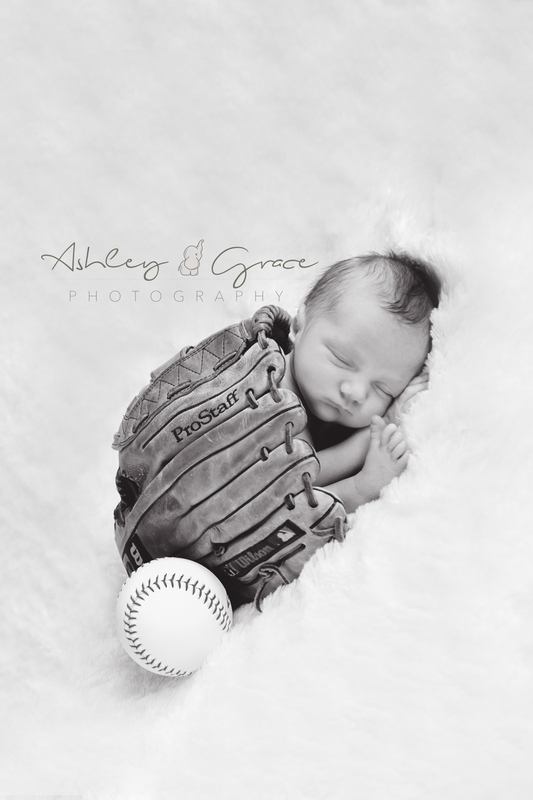 If you'd like to schedule your own newborn session, and preserve these memories forever... contact me! I'd love to meet you! Maddox was just an adorable, sweet little one. And his mommy booked a Milestone Package, so I get to see him at 6 months and 1 year as well! I love when I get to watch little ones grow in that 1st year. The changes happen so quickly. Can't wait to see him, and his beautiful family again!